Many of us find it difficult to write about our own abilities, skills, and achievements. My goal is to identify those qualities in you and bring them to the forefront of a resume that will get you noticed by a hiring manager or pass the Applicant Tracking System (ATS). My background in Human Resources is valuable in writing clear, detailed resumes that will make you stand out. Together, we will create your story in words while highlighting your best abilities. Objective statement: Provide information on the type of position you are looking for. Include some keywords from the job description of the position you are applying for. Skills: Provide information on some of your strongest skills and abilities related to the position you will apply for. Summarize your abilities in 3-5 functional skill sets focusing on those most relevant to the position rather than trying to include all of your skills. Formal qualifications and certifications: Provide the details of your nursing degree or degrees (school name, date graduated, degree received). You may want to include reference to any completed clinical rotations in the resume. For nursing license details include the state/states you are licensed in and the date that your license became valid. Employment history: Include all previous nursing employment starting with the most recent and working backwards. Provide a summary of what your duties were in each job and be specific as to what area of nursing you worked in. The resume for nursing staff application is a relatively brief document of one or two pages. A resume can easily be adapted to target a specific job. A nursing CV is more comprehensive and detailed than the resume. Nurse staff job applicants can view examples of nursing resumes online to see other ways of formatting the resume. You can also find a nursing CV template online if a CV is called for. You can also use this nurse practitioner resume as your guidance when writing! Your career aspirations, “why you want the job”, which explains how your job application fits your career path. This part of your resume needs to be extremely clearly defined, matching employer needs and showing superior levels of expertise, productivity, and experience. Be sure to show appropriate licenses, certifications, qualifications and other credentials, preferably in list form. Use examples from your work history which are clearly relevant to the job requirements. Cite specific systems work, for example, to show your skills and experience. Is your resume neat, clean and pleasing to the eye? Is there a good balance between text and white space? Did you use bullet lists and avoid paragraphs and long sentences? Does the resume use bold, italics or underlining to highlight important information? Is all the important information included? Did you use the best format to show off your abilities? Does the resume target the job being applied for by focusing on relevant skills and abilities you have? Is the resume free of errors and typos? Your completed staff nurse resume should be easy to scan and highlight the specific skills the employer is looking for. Taking a little extra time to proofread and get it just right is worth the effort. 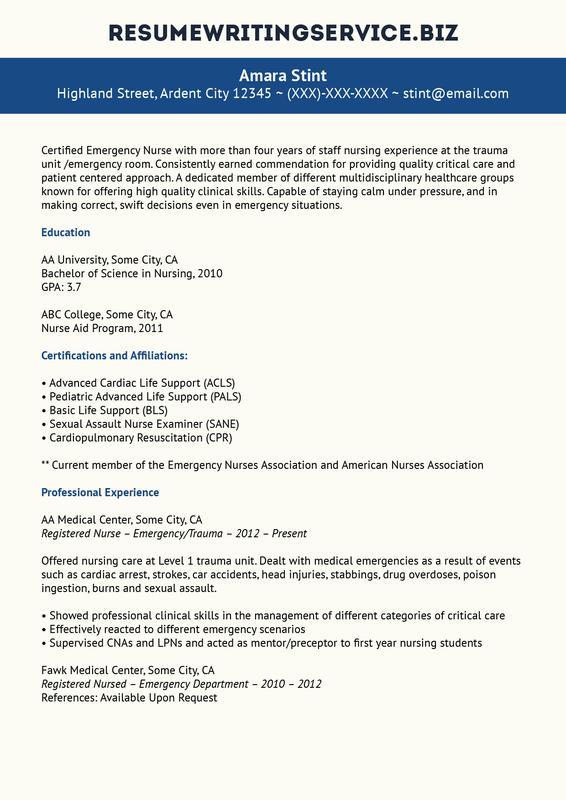 Now that you’re done checking, how about reviewing this great LPN resume sample? Go on! Most staff nurses are RNs but the actually number of RNs with the job title of staff nurse is uncertain. They are included in the 2.8 million RNs currently employed in the U.S. The median annual staff nurse RN salary is $70,176 which is just slightly higher than the median salary of all RNs. Employment of registered nurses is projected to grow 16 percent from 2014 to 2024, which is well above the average for all occupations. For staff nurse resume help, get in touch with us today! Thank you very much for the reviewed resume, This is exactly what I was Hoping for, I can fill the gaps that needs to be filled myself, appreciated.